For the sunflower seeds seasoning and roasting line ,we have cleaning machine,seasoning machine,roasting machie.If you need,we also can provide packing machine for you. 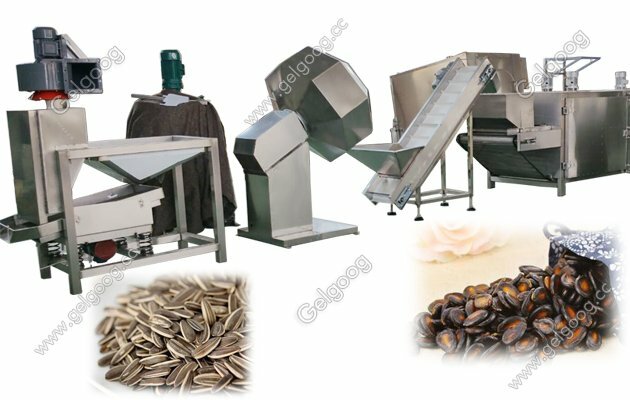 Sunflower Seed Seasoning and Roasting Line Porcessing Machinery For the sunflower seeds seasoning and roasting line ,we have cleaning machine,seasoning machine,roasting machie.If you need,we also can provide packing machine for you. Our professional salesman provide suitable solution accoriding customer demands. You can tell us your process step and the capacity you need.The more detail you tell us the more suitable solution we can provide. 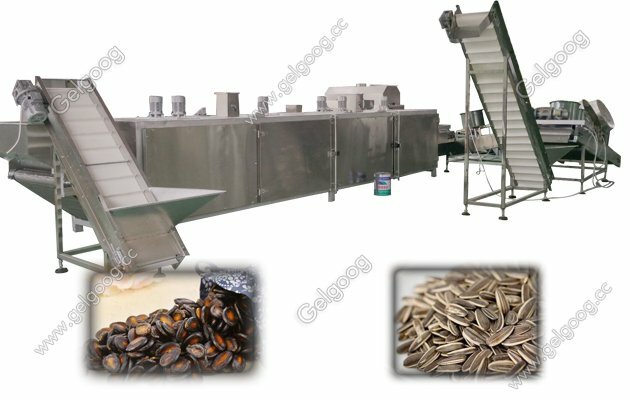 The sunflower seeds roasting production line is with high quality and favorite price.The roasting time can be adjusted stepless according to the original state of the raw material and the requirements of the finished product, so as to ensure the technical specifications of various materials in the baking process to meet the requirements. The equipment is equipped with an external thermal insulation system with high thermal efficiency and energy saving. The baking machine is controlled by stratified blow and counter current drying and subsection temperature. It is considered that the materials, such as vegetables, are evenly dispersed when the water is transported, and the drying effect is good. The parts in contact with the material are made of stainless steel. 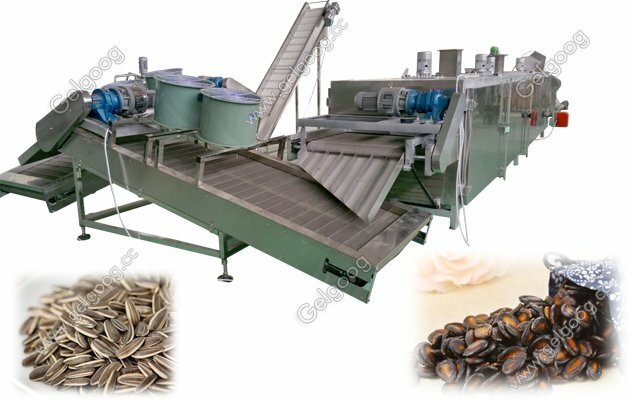 Peanut, sunflower seeds, pumpkin seeds, beans, cashew nuts, almonds, walnuts, pistachios, hazelnuts, pine nuts, pistachios, etc..
1. our sunflower seeds line can reduce manpower and improve operation efficiency. 2. the rational distribution of heat is designed to make the air flow uniform, so as to ensure uniform baking. 3. integrated cooling system to prevent excessive baking and keep the nut in the best condition. 4. machine is designed to realize the recycling of roasted air to reduce energy consumption. 5. both sides of the door can open, easy to clean. 6. different areas are insulated with minimal heat loss and minimum operating cost. 7. high automation, thermostat, heat can be heated through electricity, gas heating and other heating methods. The circulation fan is used to heat the heat to achieve strong wind blowing, improve the baking efficiency and improve the baking quality.